There are 23 reviews of Sweet Oriental Dream . This, is a Montale? I'm shocked. It isn't the usual, blast-that-knocks-you-off-your-chair frag. I get a big rose at first. The honey and almond are syrupy. Not too sickly sweet. I get a little "smoke" here - could be the rose and stuff messing with me. Big vanilla ice cream note appears. This isn't exclusively a rose scent, nor is it entirely a gourmand. It's a wicked blend of both. It seems to see-saw it's profile. Much later it becomes a vanilla-rose blend that mimics patchouli. Almost pure powdery. Delicious! When I was an angsty teenager, my greatest pleasure was to retreat to my room, turn on my pink Lava Lite, listen to the Talking Heads, and burn my "chocolate cake" incense. I loved that incense. It smelled little like chocolate cake, but DID smell like some sort of sweet almond dessert being toasted over sandalwood. I couldn't find a perfume that smelled like it, so I'd burn it in my closet and shut the door to get the smell on my clothing. So when I first tried Sweet Oriental Dream this many years later, it brought tears to my eyes, because it was that smell from my teenage bedroom. Objectively, it's super strong and a lot of the same great accord, all almond-y and incense-y, if obviously synthetic. It's certainly one that's going to be lethal with over-application, so I'm using samples I can dab until the day when I finally buy a full bottle and brave spraying it. And I will buy a bottle, for although SOD smells just like it could be a BPAL scent - and I had my hopes for a substitution - I've now tried hundreds of BPALs, and can confidently say that there isn't one in the catalog quite like it. The last time I went to visit my mom, who lives in same house, I bought a new pink party light and lay there in my old bedroom wearing this perfume since that old chocolate cake incense is long gone. Not as horrifying as it sounds coming from one of the least subtle houses in perfumery. The honey is there, but it’s dialed back, blended with scorched maltol, and the whole thing’s cut with Montale’s signature condom note (a rubbery saffron) that actually launches the scent into a more intriguing space. Don’t get me wrong, it's still best suited for folks who choose to smell like donuts of their own cognizance, but given the brand and the name of the perfume, it’s not nearly as gag-inducing as you might think. 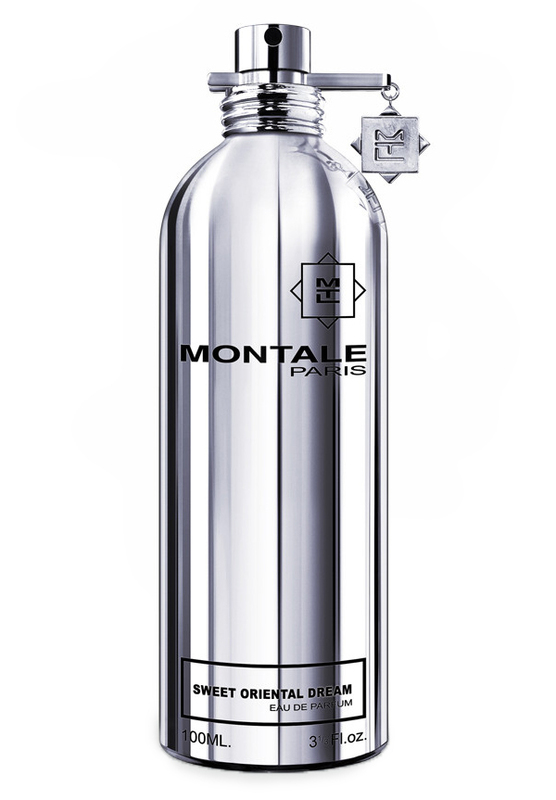 Well-shaped, somewhat polite, and not a total cliche—which is quite impressive for Montale. Would I wear it? Of course not. Is it as bad as it could have been? Not really. Very similar to TDC Oriental Lounge but a little less dark. Long lasting and named appropriately. Better suited for temps below 65 degrees. To my nose the most prominent notes, from the opening right through the drydown, are vanilla & almond. ln the beginning these are slightly powdery, supported by a whiff of rose & a touch of smoke. The rose slowly becomes more "jammy" in the heart, & a deliciously edible tonka note emerges, becoming more dominant in the base. The sillage is excellent for the first 8 hours, but for me the most startling aspect of this fragrance is it's longevity; a full 17 hours after application l can still smell it on my skin! This is far & away a record for me; my skin usually "eats" fragrances far more quickly than this, even other Montales! But this somehow melds beautifully with my skin, & l find the whole feel of it immensely soothing, soporific even, which makes it a perfect sleep scent. ln comparison to the only other loukhoum scent l've tried, Keiko Mecheri's Loukhoum Parfum du Soir, l'd say this is much less powdery, more rose-prominent, & altogether more rich & satisfying. There may well be a FB of this in my future. At first I thought I'd never get to like SOD but after a couple of wearings I've fallen in love with it. You get what was promised: Sweet Oriental Dream is sweet but never in a cloying way, its sweetness is well balanced (Pierre Montale may have some "not so good" perfumes but, when he's spot on, he really is). With SOD you get the aroma of turkish delight: you get honey, you get almonds and dried fruits, you get spices, some rose petals... At first I got the impression that this mix was going to become sugary sweet and too powdery, but It never gets that way (thanks, Pierre). It lasts and lasts with very good projection. I've got really good feedback with this fragrance, people with no interest in fragrances beyond the one they wear or they got for christmas have been asking me where did I buy this one. In my "Montale Experience" this and Blue Amber have been authentic crowd pleasers. Thumbs up from me. There are no member images of Sweet Oriental Dream yet. Why not be the first?